Baku, also known as ‘City on the Hills’ is the capital city of Azerbaijan, is one of the popular Caucasian capital city troikas located at the juncture of Europe and Asia. This surreal city, where the intriguing past and the cosmopolitan present, creates an evocative mix that attracts tourists from all over the world. Baku is also a major technical and scientific, cultural, and industrial center of Azerbaijan and a great spot for shopping, dining and nightlife. When in the city, don’t forget to try out the delicious food and drinks. Halal food is also widely available everywhere in Azerbaijan. 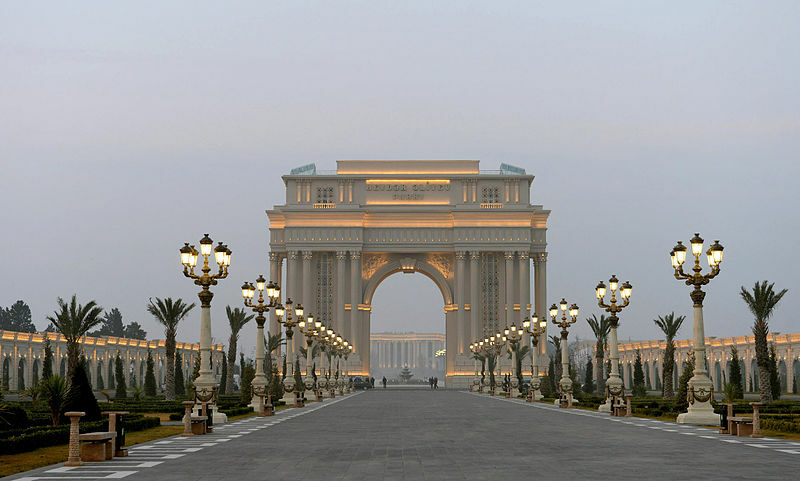 Baku’s glittering skyscrapers and heritage sites are quickly turning the city into a premier tourist destination in the Caucasus region. Baku is certainly among the top places to visit in Azerbaijan. The second largest city in the country, Ganja has a rich cultural, natural, and historical heritage with a history that goes back to 494 BC and is of great interest for tourists. The top tourist attractions of Ganja includes vineyards, eclectic forests, rivers, picturesque lakes, and mountains. The city is also famous for many mineral springs and Nafatlan oil- unique medicinal oil. 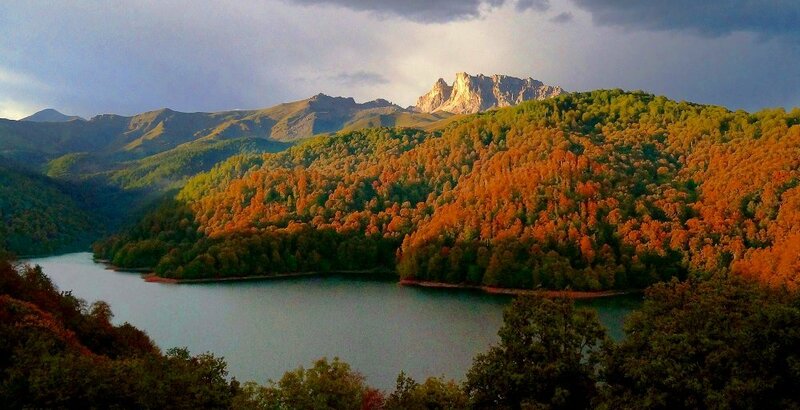 Ganja is a delightful tourism destination of Azerbaijan. Many visitors to Azerbaijan may not know that the country has the highest number of mud volcanoes in the world. 350 to be exact! One of the best known is Garasu Volcano, that has been known to spew mud over 1,000 metres into the air. The volcanoes are caused when gases under the earth build up and push the mud high into the air as a release. The first mud volcanoes are said to have erupted in Azerbaijan 25 million years ago, and visitors to Garasu often say that it looks like the surface of the moon! Gobustan is often referred to as the Azerbaijan version of Stonehenge in the United Kingdom, as it features a prehistoric cromlech. 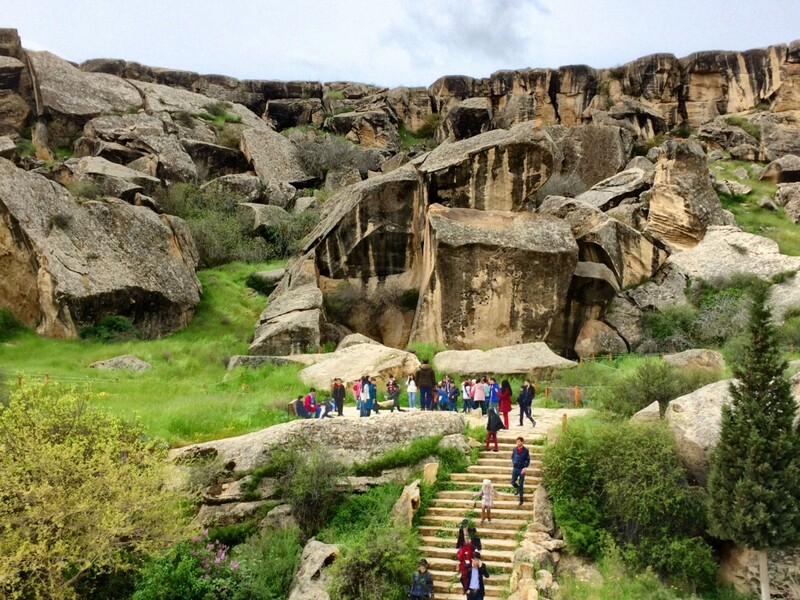 It doesn’t end there however, as Gobustan is an archaeological reserve that lies to the south of Baku and offers a fascinating insight into ancient civilizations due to over 6,000 rock drawings that span over 537 hectares. The findings in Gobustan point to evidence of habitation dating back from the Stone Age, and aside from the cave and rock drawings, there is also evidence of human settlements, and even ancient tombstones. Something of a misnomer, the Caspian Sea is actually the largest lake in the world, and measures a whopping 371,000 square kilometres. 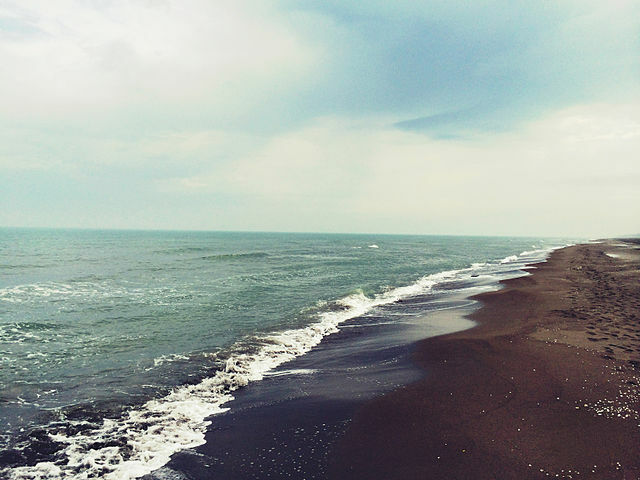 The Caspian Sea is sits on what looks like an ocean bed, and the water here is indeed salty, although the saline content is lower than that of other seas and oceans, meaning that it is the perfect place for swimming as it is less likely to cause irritation. Popular activities on the Caspian Sea include bot cruises, diving opportunities, and fishing. Found to the west of Baku, this is famed as one of the oldest human settlements in all of the Caucasus and is said to date back 2500 years. 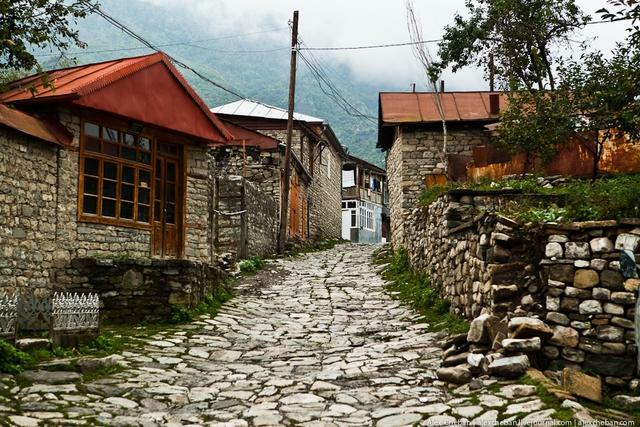 Sheki City was a stop off on the Silk Road and was famous for exquisite silks and other textiles. This tradition is still very much alive in Sheki City today, and visitors here will find ornate embroidery and other local handicrafts on offer. In addition to the arts and crafts found in this city, there are also castles, mosques, and even ancient bathhouses, as well as the Palace of Seki Khans that has stood since the 18th Century. This is even more impressive as an architectural wonder when you consider that the palace was built in its entirety without the use of nails. Make sure to check out the beautiful wall paintings and carved windows when you visit.